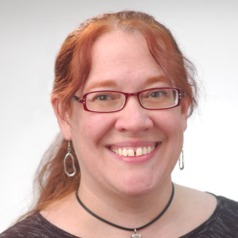 Dr. Cynthia Matuszek is an Assistant Professor at the University of Maryland, Baltimore County's Computer Science and Electrical Engineering department. Her primary research interests are in robotics and natural language processing; her research group, the Interactive Robotics and Language lab, combines these topics to support research in human-robot interaction, or HRI. She received her her Ph.D. at the University of Washington in 2014.